DoMicro develops inkjet printing processes for flexible hybrid electronics and offers technology-, application- and equipment solutions and consultancy. 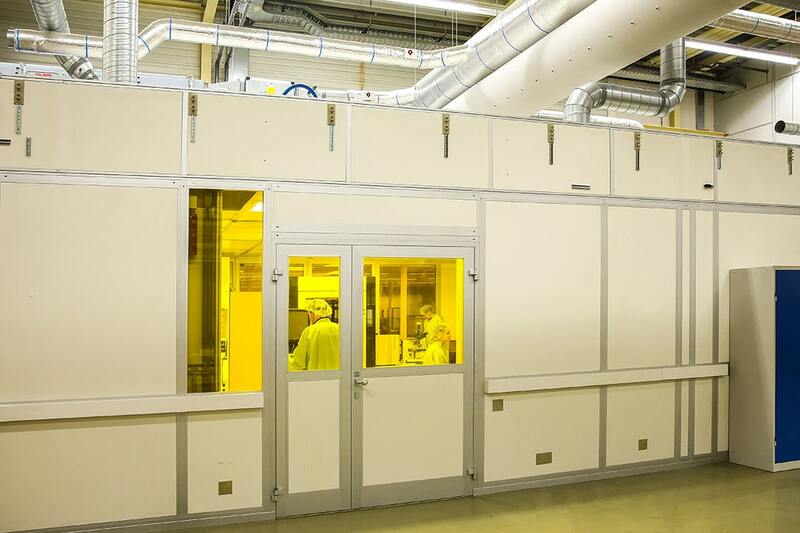 Our LAB-facility and ISO7 Clean Room, suitable even for OLED applications, enables controlled environment for micro assembly and thin film processing. 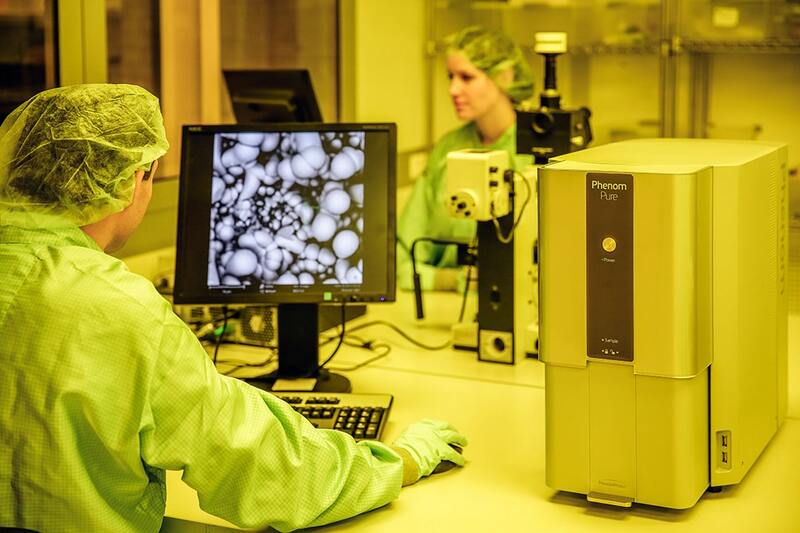 Generic analytic tools like electron microscope, surface measurements and specific testing characterize the research & development effort. 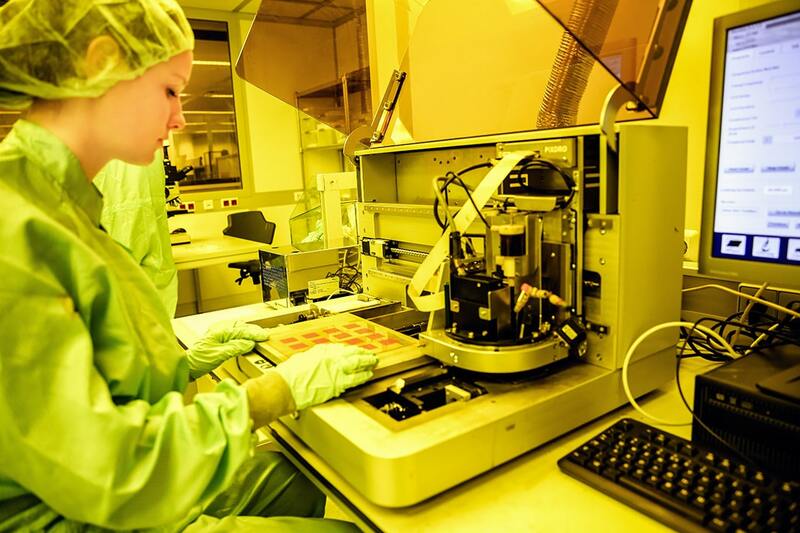 The gap between IC manufacturing and the conventional PCBA industry is bridged by applying revolutionary additive technology. 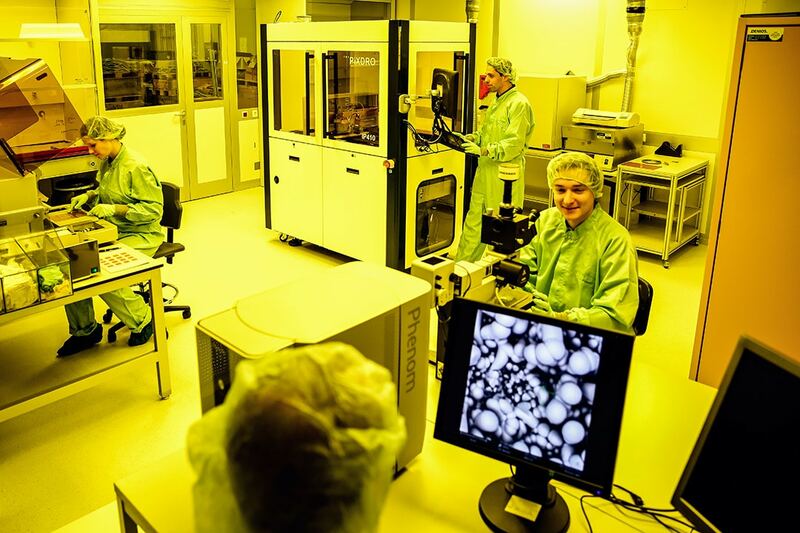 This process research & development starts with the micro assembly in advanced packaging and is integrated with standard PCBA and new structural electronics technologies. 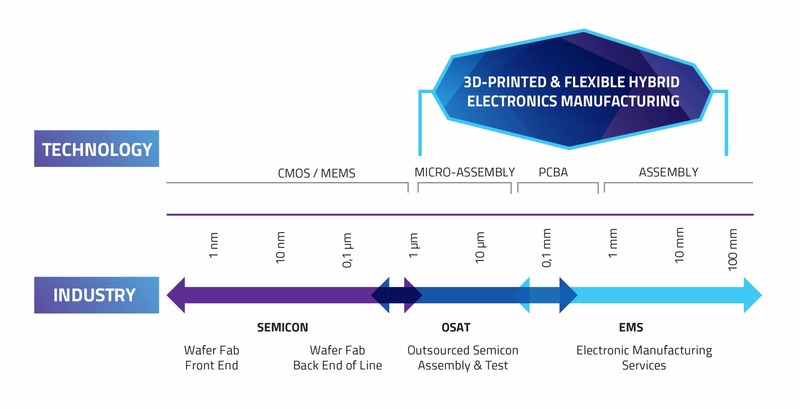 Through inkjet-printing both passive and active components can be deposited and distributed within flexible and variable interconnection layers (even in small series or 1-piece flow). 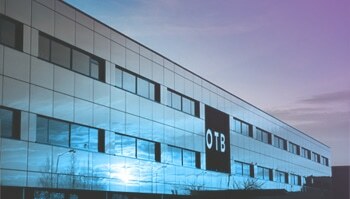 Our technology expertise is in process design, characterization, capability analysis and yield engineering. DoMicro invents and develops solutions for specific equipment, new materials, multiple interaction and parameter tuning. We create optimized recipes including hard- and software to achieve optimum results for customized solutions. This implicates a tailored & tuned manufacturing setup for small series in line with customer defined quality and technology standards.